Dr. Rubin was the first astrophysicist to discover evidence of dark matter. While dark matter had been proposed as early as the 1930s, Rubin was the first to provide evidence of “Dark Matter.” Many physicists now believe composes more than 90 percent of the universe. Rubin was passionate about astronomy from the age of 10, and had her own telescope by the age of 14. She studied at Cornell and Georgetown, where she started her Ph.D. program at the early age of 23. Rubin studied a variety of astronomical phenomenon, including galaxy clusters and quasars. However, her most well-known discovery came from her study of galactic rotation. By observing how fast the outside of a galaxy rotated compared to it’s inside, she uncovered a discrepancy with their predicted angular motion. Her research showed that spiral galaxies rotate quickly enough that they should fly apart if the gravity of their stars was all that was holding them together. From her calculations, she showed that galaxies must contain at least five to ten times as much dark matter as ordinary matter. Throughout her life, she received a number of awards and commendations. She was a member of the National Academy of Sciences. 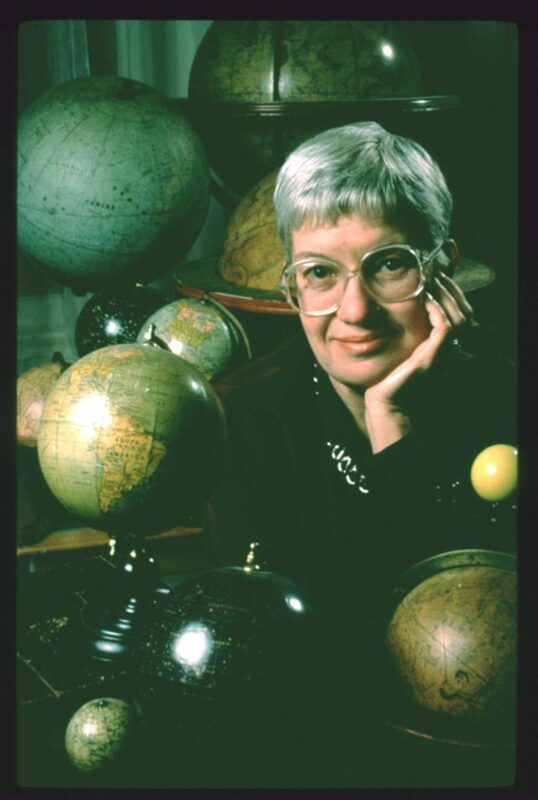 In 1996, she won the Gold Medal of the Royal Astronomical Society. In 2002, she was awarded the Gruber International Cosmology Prize, among many other prizes and awards. She was also awarded the National Medal of Science. As well, she received honorary doctorates from Harvard, Yale, Smith, Grinnell, and Princeton. To me, Dr. Rubin is one of the most influential physicists of the 20th century, and almost single-handedly redefined our understanding of modern cosmetology and astrophysics. Her contributions to modern physics are incredibly significant, and her death in 2016 was a loss for the entire world.